The hardwood stakes or palina, originally of oak but now mainly South American hardwoods, are a feature of Venice navigation. 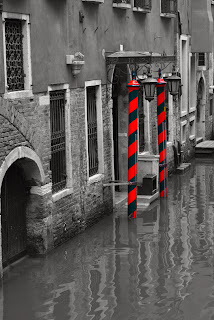 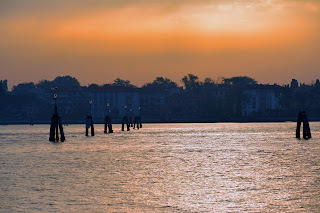 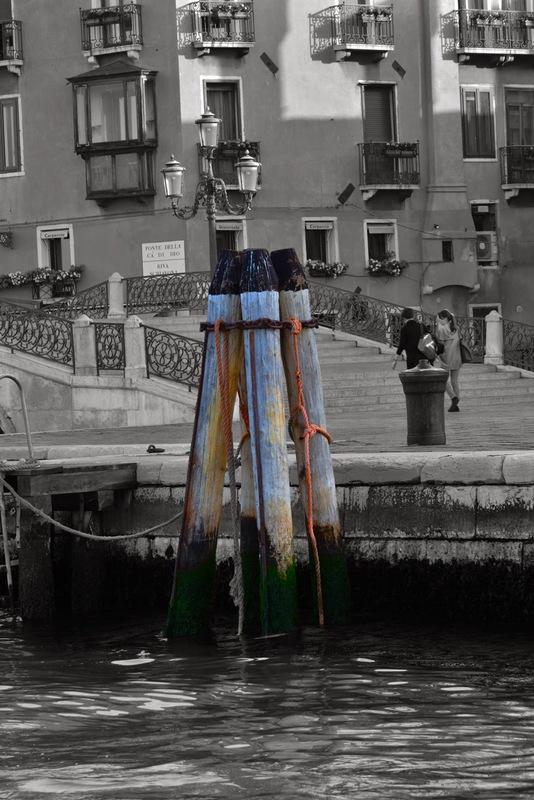 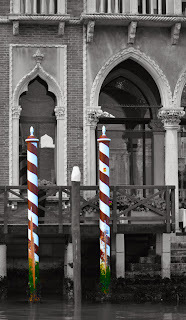 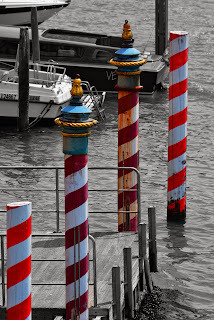 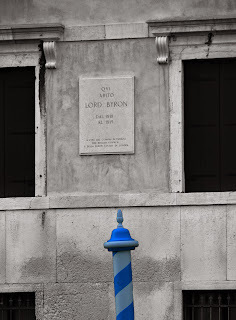 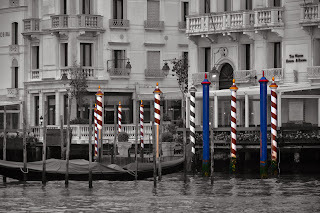 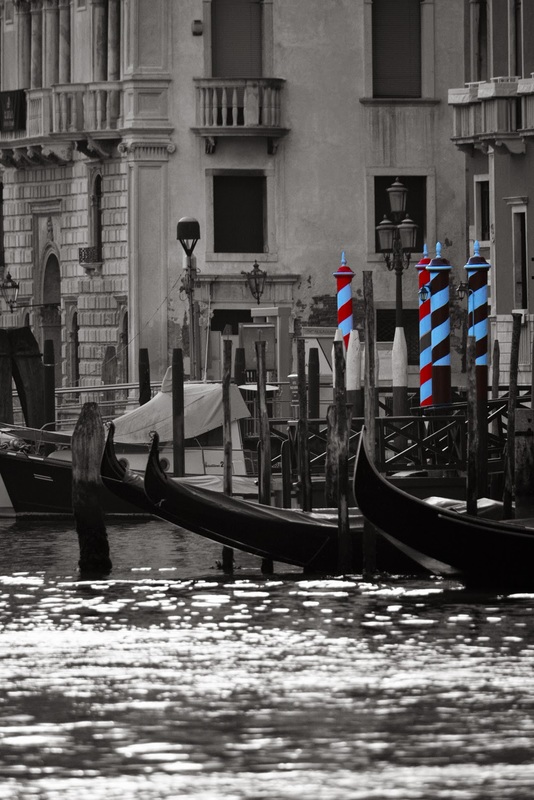 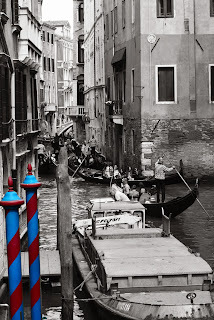 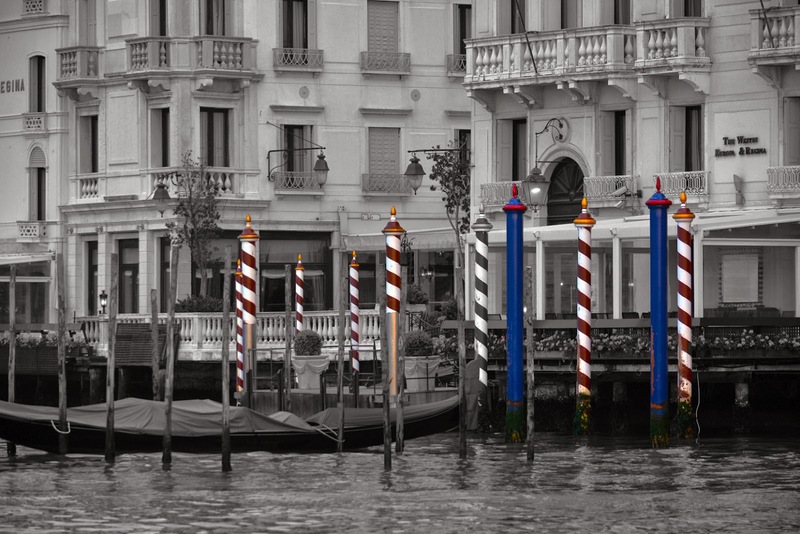 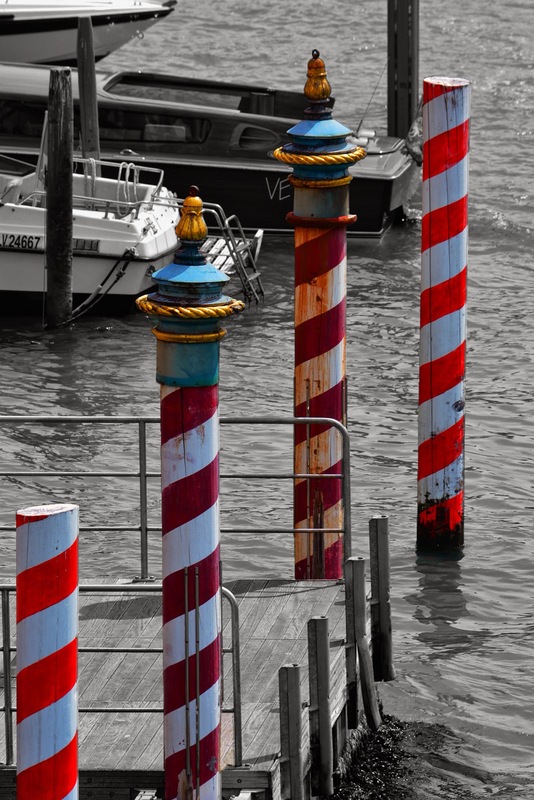 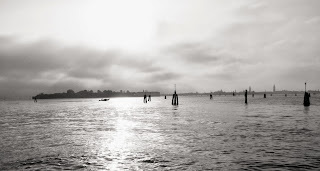 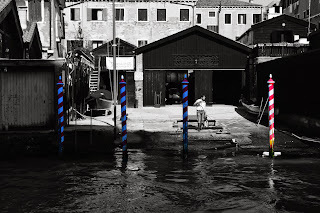 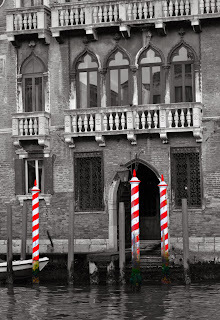 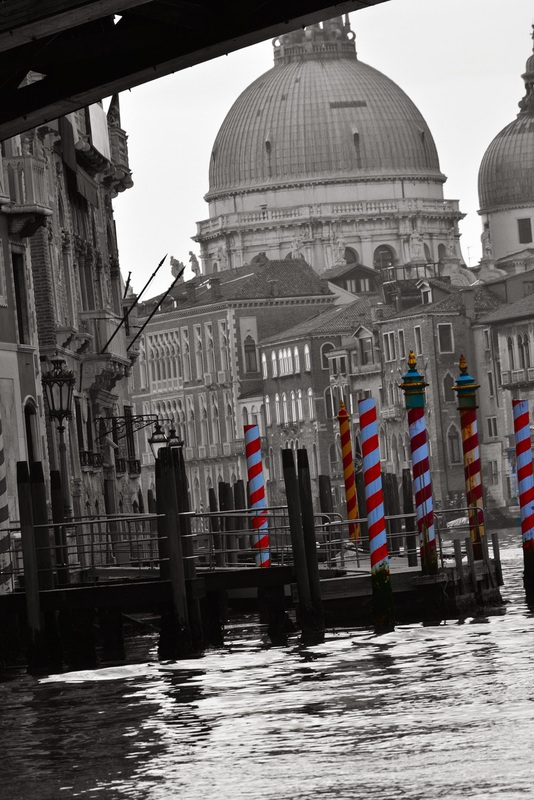 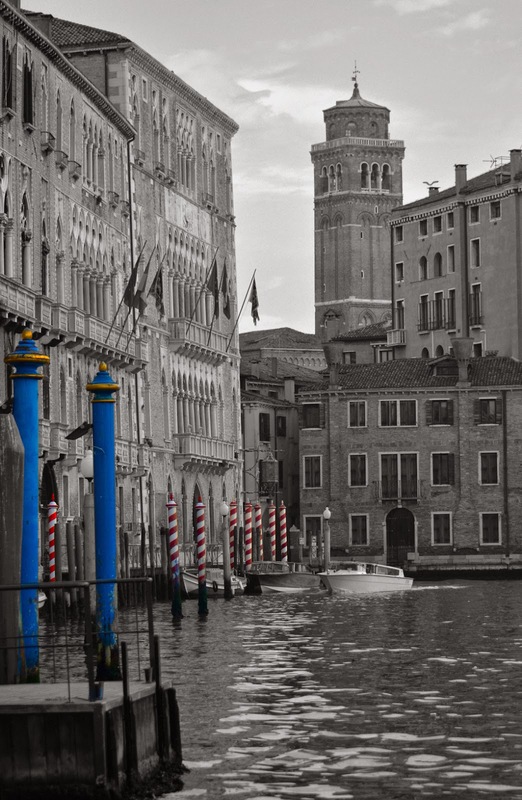 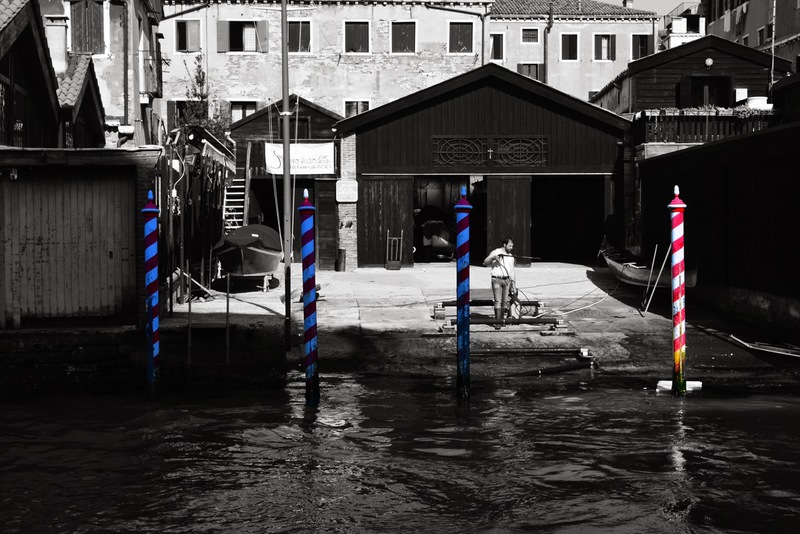 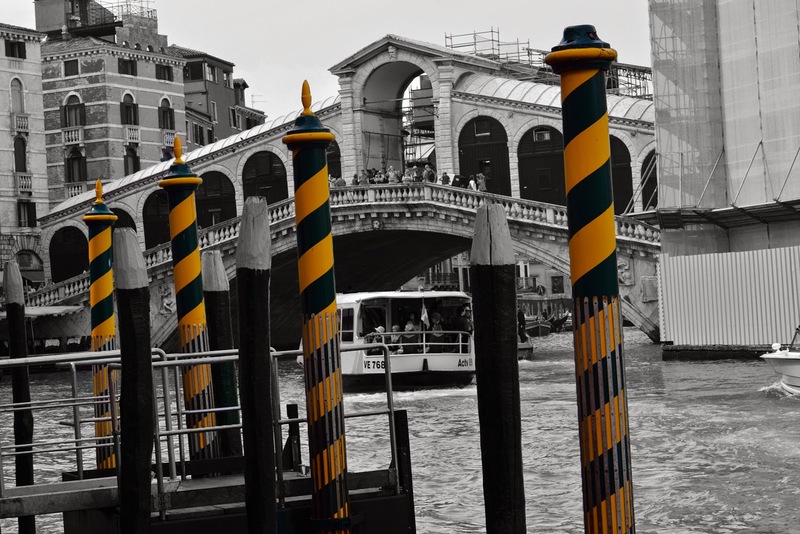 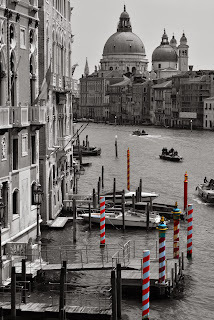 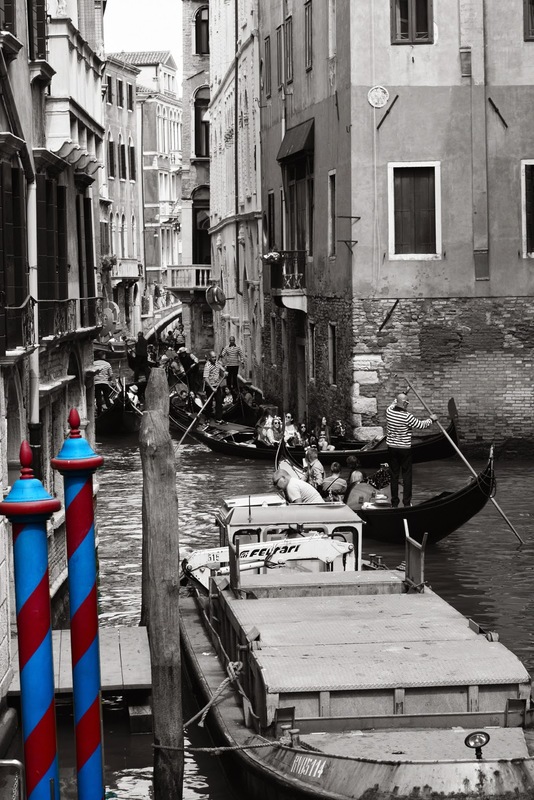 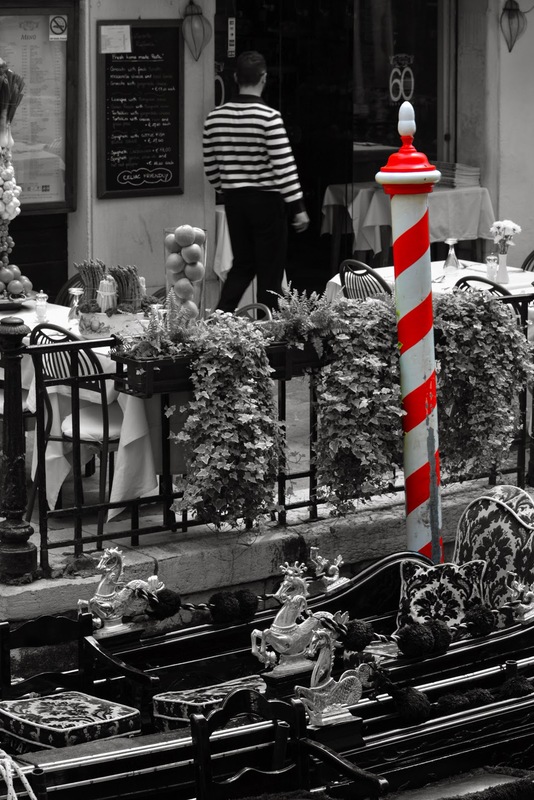 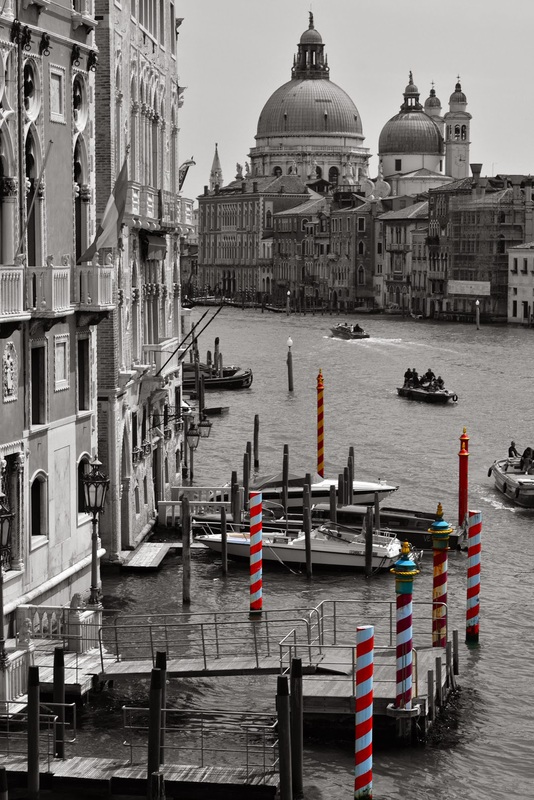 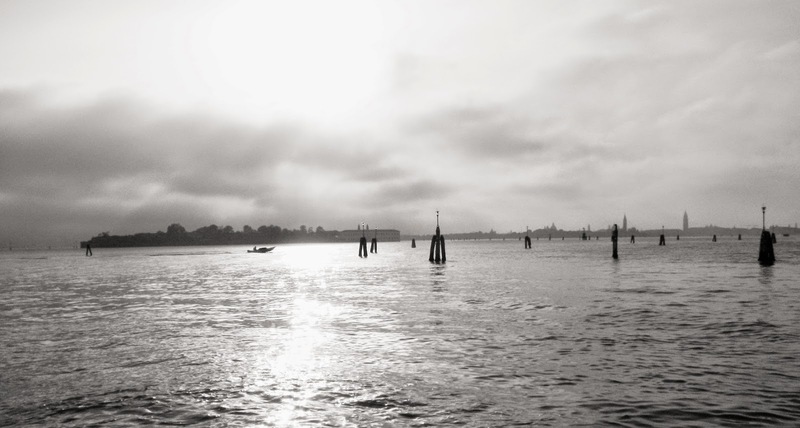 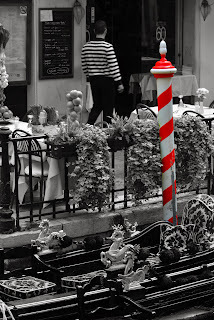 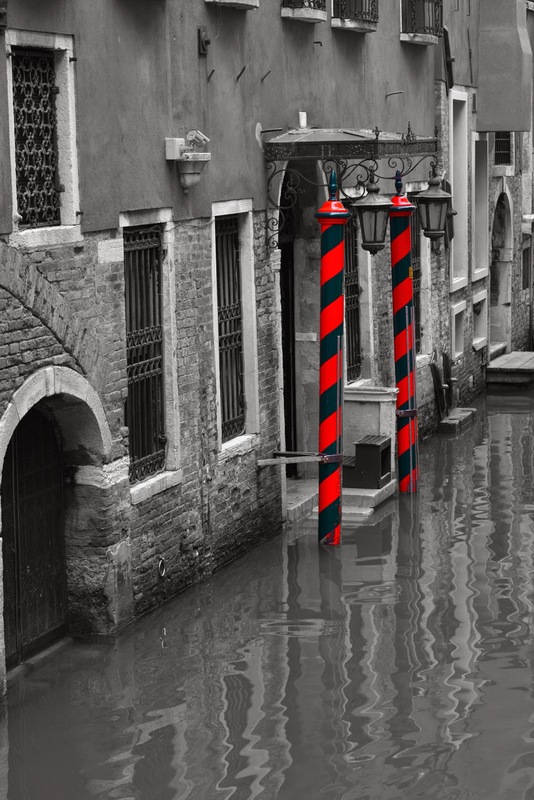 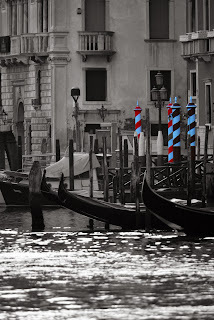 From the plain mooring poles to the candy-striped Palo Palazzo Veneziane outside the waterside palaces to the grouped Bricole Veneziane that are the main navigational markers in the lagoon. 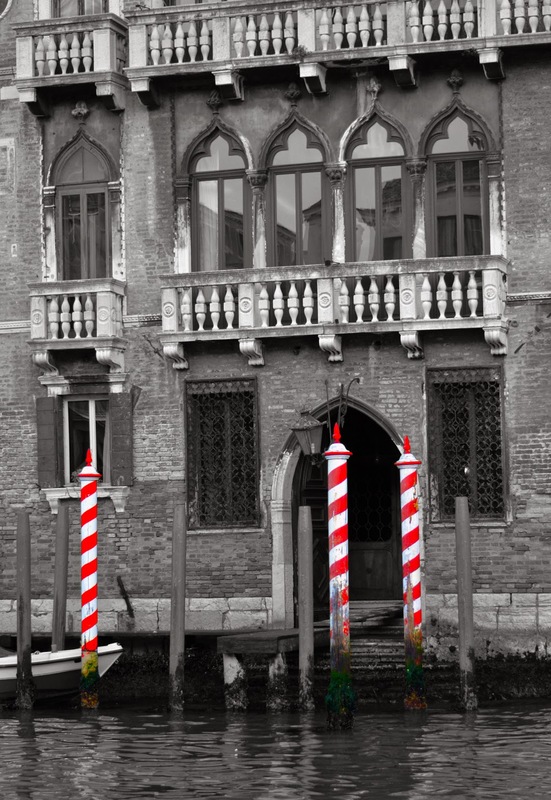 First formally regulated by Venetian Senate decree of the 8th December 1439 under the control of the Judges of the Pioveghi their maintenance was subsequently taken over by the Magistrate all Acque in 1501. 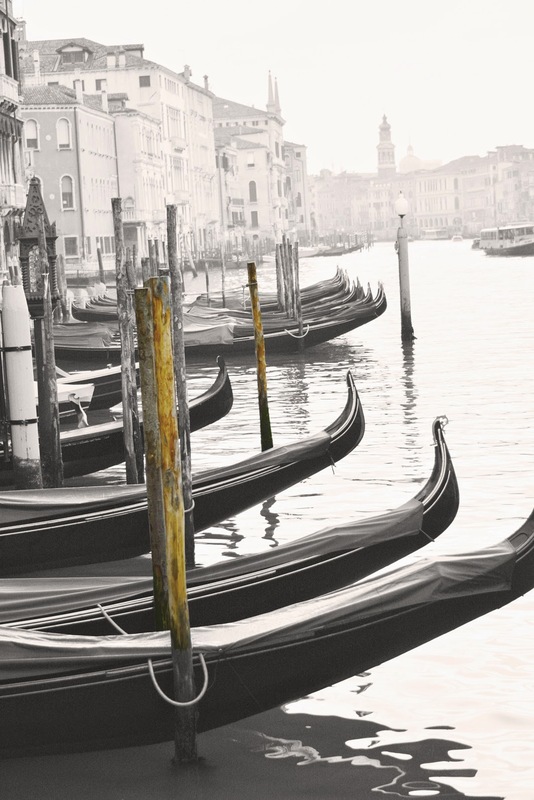 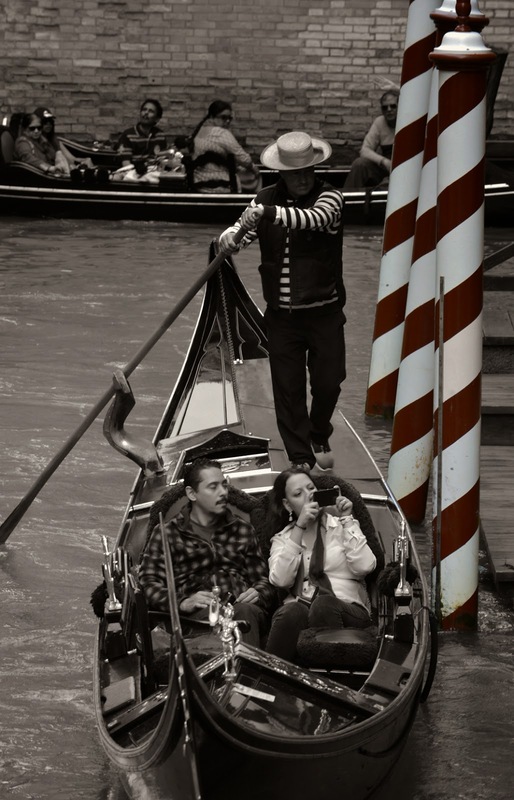 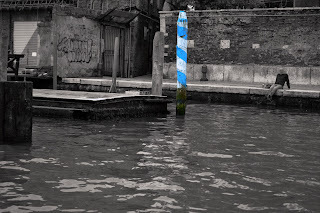 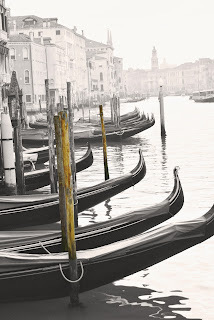 A simple mooring-post for Gondolas. 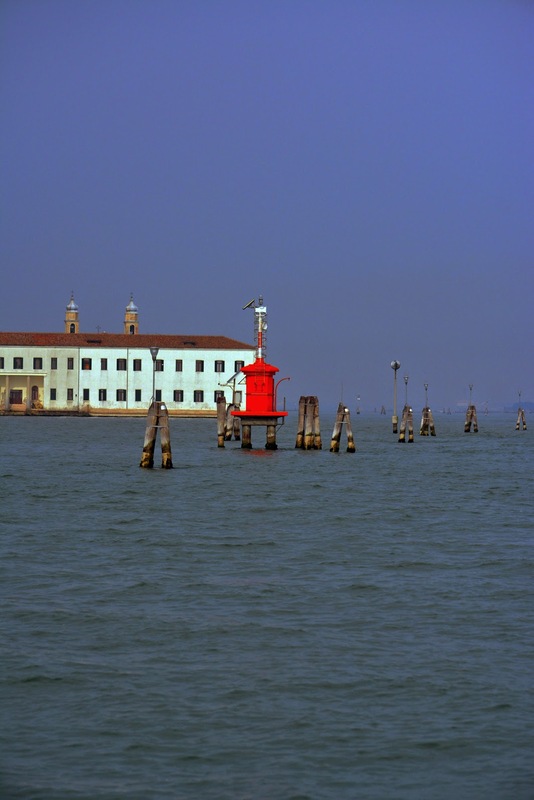 called 'Dolphins' or "Duc d'Albe' in international nautical use. 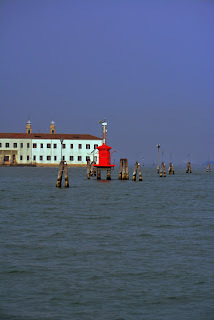 They are the main navigational markers in the Venetian Lagoon.